This fall, the lower deck of the Centre Street Bridge was temporarily closed for flood mitigation improvements. The bridge has reopened and the project, which involves installing cement pillars steel guiderails and a concrete foundation to support placement of temporary aluminum flood barriers during a flood event , is expected to be complete by the end of October. Below is a summary of the project including how much protection these mitigation measures will achieve. During the 2013 flood, the Centre Street Bridge proved to be a breach point for water into the downtown core. To mitigate this risk, the city is installing a flood barrier (stop log system) on the lower deck of the bridge. The concrete foundations with embedded anchors for stop-log gates and the attachment points on the concrete bridge supports have been completed, on both the north and south ends of the bridge. The aluminum stop-log components will be stored on site in sheds. 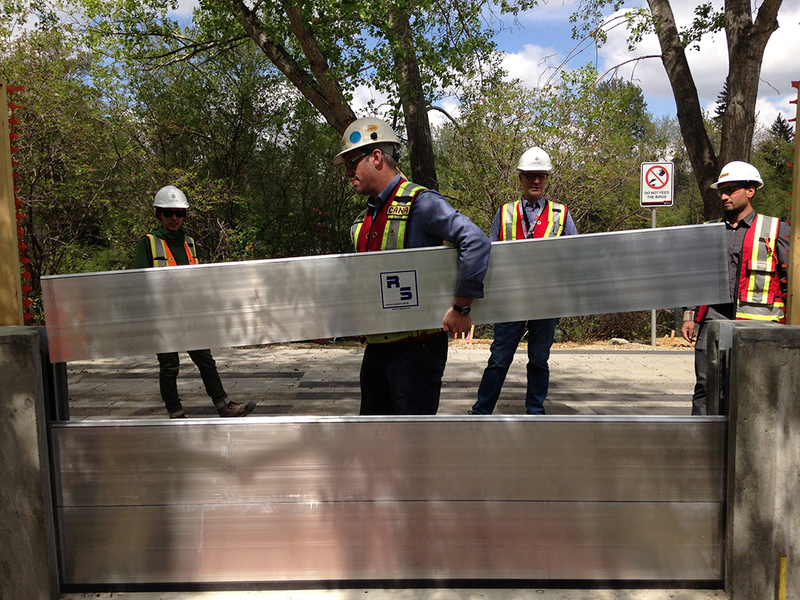 During a flood event, City staff will install the posts and aluminum stop-logs to erect the two temporary gates and block the flood waters. 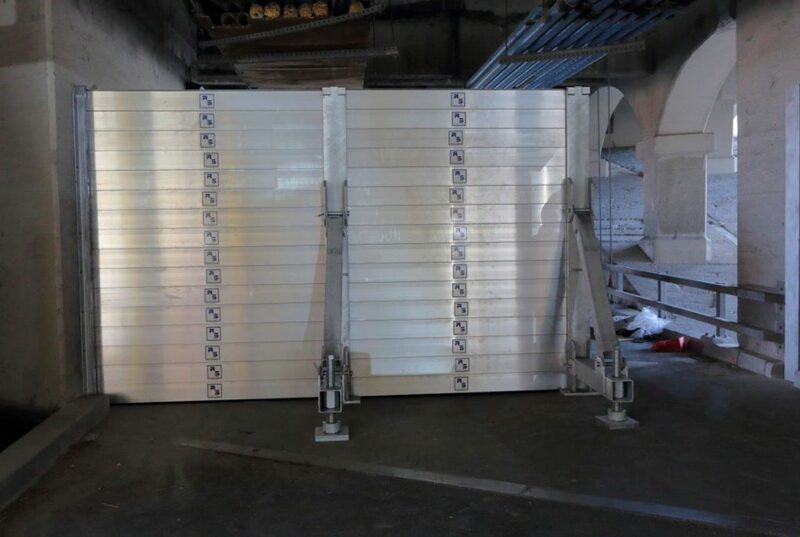 Similar technology is also now available to temporarily block the openings during a flood on the newly constructed zoo flood barrier and West Eau Claire Park flood barriers. There will be some periodic one lane closures during off-peak hours in October. Design and construction of the Centre Street Bridge portion is about $1.6M. 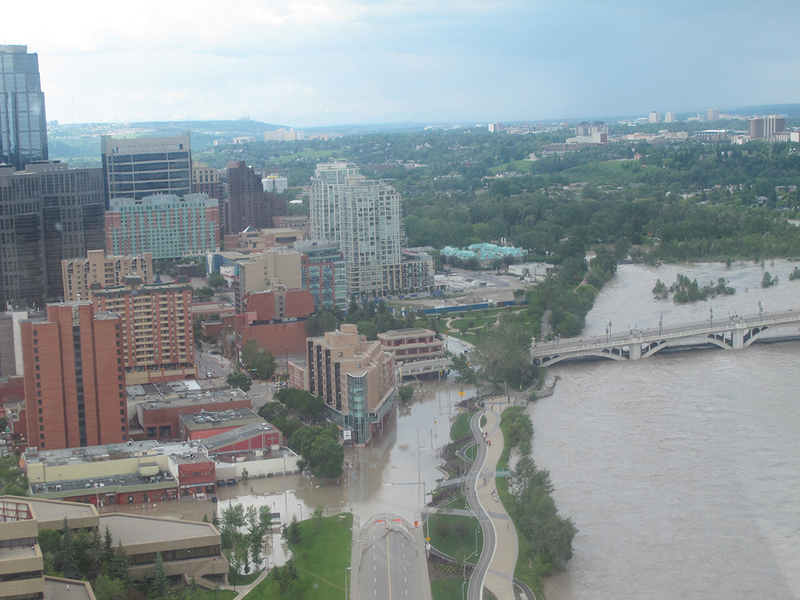 Partial funding for the Centre Street Bridge flood barrier project has been granted through the Alberta Community Resilience Program (ACRP) as part of the overall City of Calgary Flood Mitigation and Resilience Program. Together with additional flood mitigation projects in the area, the Centre Street gates are designed to the 1:200 flood elevation, plus an additional 0.5m freeboard, or safeguard height. The freeboard is to ensure that the barrier can perform during a 1:200 flood even in the face of unanticipated circumstances like waves, trees/debris, bank failures or modelling uncertainty that could mean the actual flood elevation during an event is higher than anticipated. For clarification, the gates on the Centre Street Bridge will only be effective to prevent flooding up to a 1:100 flood until the Downtown Barrier (see below) is complete. 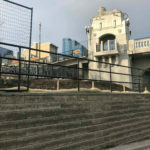 A small earth berm adjacent to the bridge structure has been constructed as part of the project, however, in floods larger than 1:100 water will spill over the berm, flooding the local area. Once the downtown barrier is complete, the entire system will provide 1:200 resiliency. 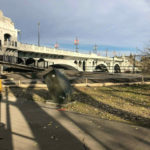 The Centre Street Bridge flood barrier is part of the overall Eau Claire Realm Plan, which we’ve described in more detail in our West Eau Claire Park post. 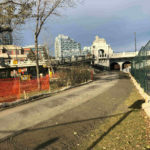 The Eau Claire Promenade Phase 2, called the Downtown Barrier, will extend from Eau Claire Plaza, through the Centre Street Bridge, to Reconciliation Bridge is currently in design with anticipated completion in 2021. For more information on this project, visit calgary.ca.